OMG! This book is All The Things. Except one, but I'll get to that later. Since I know I have a lot of YA readers on my blog the mom in me has to say, "Not for younger readers." And now that we have that out of the way let's move one. Because I finished this book just before 4 am and am dying to talk about it. It could have been about me and my husband. Straight-laced Asian boy wonder and a white bread American girl who is doesn't fit the mold. Any mold. It's one of the things I love about this book. Books about interracial relationships are so rare that when I'm writing I usually can't find stock photos. We have to go with legs or shadows. Both characters have a really strong voice and I admire Hazel's voice because she's so energetic that had to be hard to keep consistent for 300 pages. And most important for any romance, JOSH IS HOT!!! REALLY HOT. And bonus points here, but it in some ways reminded me of meeting my husband in grad school all those years ago. Like I said, all the things. Except one. Interracial, intercultural relationships are very hard and that was never shown. I get it. 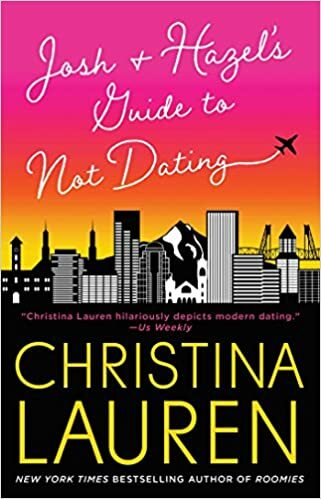 Not every book has to be about the challenges of intercultural relationships, but because they are so rare it would be nice to catch a glimpse of that, like girl, you're not alone. And I also thought Josh's parents weren't that consistent. In some ways, they're very traditional. "Korean kids don't disobey their parents." (Umm...I know lots of second generation Asian kids who don't believe that, like at all. Kinda wish they did actually.) **Spoiler Alert** And then when Crazy Hazie is pregnant at the end of the book Josh is thinking about how happy his parents are going to be. Just doesn't seem consistent, and it's one of the places where I felt like cultural differences should have played a role. "Jules, Sixth Duke of Dandridge disdains Society and all its trappings, preferring the country’s solitude and peace. 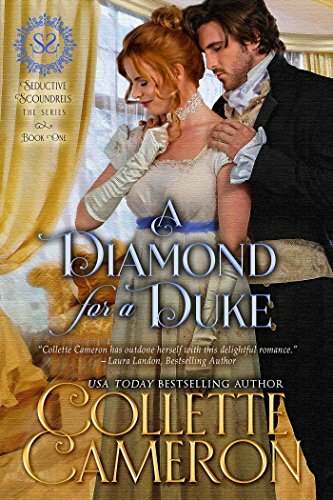 Already jaded after the woman he loved died years ago, he’s become even more so since unexpectedly inheriting a dukedom’s responsibilities and finding himself the target of every husband-hunting vixen in London. 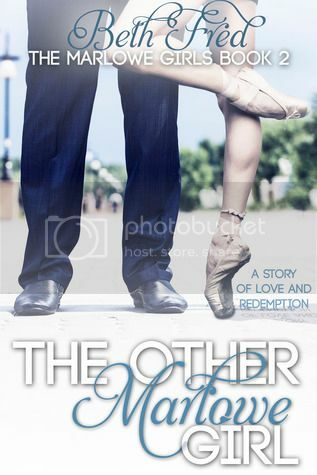 A chance encounter reunites Jules and Jemmah, resulting in a passionate interlude neither can forget. Jules realizes he wants more—much more—than Jemmah’s sweet kisses or her warming his bed. He must somehow convince her to gamble on a dour duke. But can Jemmah trust a man promised to another? One who’s sworn never to love again?" I have no idea how to rate this one, so I'm going to give two separate ratings. Here goes. I really loved Cameron's writing style and it was super cute and oh-so sugary sweet. All the things I look for in romance. This baby could be realistic historical Twilight. Yeah, that cute. So on the Jen adores scale 4/5. Now, on the craft and story structure scale 2/5. I know what you're thinking. How can a book Jen adores be so low rated. I'm about to explain. There was no conflict. Nowhere. At all. I'm at a time in my life when I'm happy to read zero conflict and laced confectioner's sugar, but it's the cardinal sin of story structure. There was also some clumsy sentence structure here and that was a much smaller problem. And if conflict doesn't matter to you, you'll find this book amazing. However, if you're into the thriller ride this might not be the book for you. My theme for 2019 is balance and rebuild. Pretty much every area of my life. My biggest problem has always been that something is being neglected which leads to a write who isn't writing, a mom whose kid is saying, "Why don't you quit working? Daddy makes enough money for us. You don't play with me anymore," a dirty house, and an unhealthy body. So my goal for 2019 is to get balance in all aspects of my life. Then when the foundation is strong start rebuilding. Rebuild an organized home, a happy child, some kid of paying day job, and an artistic soul with time to create. What's your focus this year? I made a list of 100 goals for this year here. I knew I wouldn't accomplish all of them. I even wrote goals that seemed impossible, just because if you don't think it, you might miss it when it happens. For this month, I've pulled from the list to make a January micro-list to focus on. I also categorized them to make the goals seem less random and more doable. What was really interesting is that some goals fell in more than one category. I also realized some things I'd chosen were specific ways to accomplish other goals I'd written. For the past two years, I've used this planner which was a lot of fun but doesn't change from year to year. So I've decided to do the best part of it right here. Bonus points. It creates no paper waste. The goal is to write down 100 goals for the year ahead. Some of them are realistic and will easily be crossed out. Some of them aren't realistic, but I believe words are powerful. As a writer, words always seemed magical, but my brain is a large part logical and I think I always tried to talk myself out of this. The first year I used this planner I wrote that I would like to buy a piece of investment property. I didn't really think we would. Or I thought we might, but it was going to take seriously increasing my income which mean someone would either have to pay me for my writing--FINALLY--or I needed a much better job. Neither of those things happened, but we received a small amount of money (larger than a couple of hundred but not a enough to even make a dent in my student loan). And my husband stumbled across a piece of rural land priced very low. This piece of land didn't work out and wasn't ideal. But it did make us realize that there had to be similar pieces of land. On Halloween day 2017, we signed the title for our (hopefully) first piece of investment property. So, 2018 came around and I wrote taking my daughter to Disney as a goal. I didn't expect it to happen. I'm trying to Dave Ramsay my budget like hell right now, and have been for a while. But I thought why not? You never know. For basically the first time ever we got a nice tax refund and went to Disney World. It's my favorite family trip ever. With that being said, some of these will easily be crossed off. Some of these won't and some will be gifts from God and the universe. Have no sagging skisI know dream big, right? I honestly can't believe there are 31 things left to do in the world. Have lunch with a friend I don't often see once a month. Be content with what I have. Query or package "All I Want For Christmas"
revise and query women's world shorts from 2017. It was 1990 something. 90? 91? 92? I can't remember, so we'll call it 91 since it's in the middle. One warm and sunny February day--dude, it's TX. What did you expect?--my life changed. My mom came and picked me up from day care early. When the teacher called my name I jumped up excited. I hated day care. I loved my mom, and I rarely went home early. But mom stood in the hallway crying. I don't mean just a few tears running down her face either, although even that would have been disturbing. Mom was standing in the hallway all out sobbing. She wouldn't tell me what was wrong. She kept saying she would tell me and Josh together. But the day care center couldn't find my brother, so mom's crying and refusing to tell me what was wrong went on for a while. But probably not as long as it seemed in my head. After the little kid class had been located, Josh popped up saw Mom crying and asked "What's wrong?" She said she'd tell us later. She put us in the car and drove to McDonald's. We had no clue what was going on but weren't turning down happy meals. She bought two extras. And then she told us. Her 24 year old little brother was in ICU in a coma and would likely die. The Tracks van he drove had flipped a few times and he'd been found in the curb behind my house. My uncle was driving poor and old people to doctor's appointments when he died. Saying my life changed this day might seem overdramatic. It was my uncle, not my dad. But I'm not wrong, although that story is a different post. Because this post is to say 2 years later, a friend of my parent's died in a car wreck. The whole car load died. And 5 or 6 years after that, two my cousins--both high school aged--died in an automobile accident that left the other driver paralyzed. The years proceeded, and I watched friends lost parents and siblings in car wrecks. 2018 struck with a vengeance. My mom's SUV was T-boned. My grandmother and nephew were in the car with her. My grandma broke 5 ribs and fractured her back in two places. My 7 year old nephew came out of it with a broken arm and a broken hip. Mom didn't come out of it. At all. I didn't get in a car for a week. I'd known too many people who had died in car wrecks. Three days before Christmas another family member died in a car wreck. "It just seems like it right now..."
But I'm not wrong. More than 40,000 people died in car wrecks in 2017. Accidental injury--thanks largely to car wrecks--is back up to the 3rd cause of death in the US. I want to do something to fix this. Change it. It's too late for my family. But it's not too late for someone else's. So, I'm crowd sourcing ideas. What's the best way to prevent these tragedies? Lower speed limits? More stringent traffic laws? Demanding our municipalities enforce current laws? Where is the best place to focus time and resources to save lives? You must bBe gentle with yourself. I must Remember this is a work of art and love to feed your soul and make your mark. This is not a job. Marketplace vitality doesn't matter. 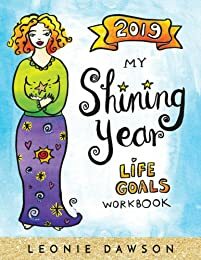 In 2019, I would like to finish The Capital Hill series and query Silver Lining. And if you can't, there will be another year. The ELF will still eat dance thrive. Your husband will still fight with you. Your house will be clean some days and not as clean others. You will survive, because you've survived so much more. What matters is that you keep the joy. You don't stress out yourself or your family with a lack of success a perverted culture's definition of success. All you need to be, all the ELF needs you to be, is happy.